Well after not really trying to lose weight, I’m at 185 lbs. this morning – the same weight I was at my physical earlier in the year. Time to take a look at my goals and refocus my efforts after a 3 month mental break. Well since August I’ve struggled with my push to drop my last 30 pounds. My tracking is spotty at best. Weighing and measuring food? Almost non-existent. How about counting carbs? I keep a mental record, but if I’m not measuring my serving sizes or tracking what I eat, how good can my carb counting be, right? Yet, I feel fine…and a little guilty. As of this morning I weigh 185 lbs. So I’ve lost 4 lbs. since my doctor told me I was healthy and didn’t have to drop anymore pounds. Now, I don’t believe for a second that my body is at its set point. I think I mentally started coasting once my doctor told me I was healthy and didn’t need to lose any more. After all, I started this adventure in 2012 to get healthy. The weight loss was a great side effect. But that got me thinking: Do I need to reconsider my goal? When I shifted my thinking from weight loss to getting healthy, the weight came off. 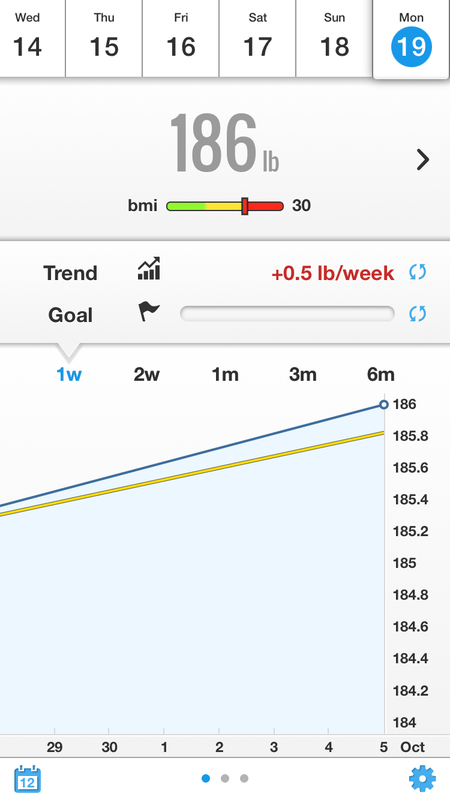 Yes, I track my weight loss on this blog, but the overall goal was health. Despite the travel over the last couple of months and lots of stress eating, I’ve stopped gaining weight. Time to get back to basics and become a fat burning machine. The good news is I’m holding steady despite a pretty stressful week. The bad news, I saw a bad habit – stress eating – come back with abandon. Ugh! So this week I’m going back to basics. I’m working on a simple menu – just tried and true meals without a lot of moving parts. So plenty of eggs, steak, healthy fats (in the form of sauces, avocado and butter), and some leafy greens. I’m also starting to cut back — way back — on my coffee intake. I was up 8 cups a day and my water intake dropped significantly. Of course, with each cup of Joe I added 1 teaspoon of heavy cream. I ran into problems with cream before. When I cut back, I started losing weight again. This time I’m limiting myself to no more than 2 cups of coffee (all decaf by the way!). While this limits my cream too, I’m still going to try to enjoy drinking my coffee black. Since the end of August I haven’t been able to exercise as consistently as I like. I know that exercise doesn’t cause weight loss, but I tend to eat smarter when I’m working out. When I don’t workout, I start feeling restless and that can get me into trouble in the kitchen. I’m headed back to my parkour gym this week. After my first 2-hour class, I haven’t been back due to my travel schedule and just too much going on at my house. My plan is to take the 90-minute intro to Urban Fit (weight training) and the parkour class for folks over 35. Oh, and despite the cold weather I’m walking everyday. Lots of muscle soreness is headed my way this week. Yay! Working on a project yesterday, I started feeling a bit stressed out. I stepped away from the computer and took a little walk. Within a few minutes I felt better and came up with a solution to my problem.